Part of the Paladin Group, Touchstone CPS manages 15,000 residential properties across the country. Since 2000 the company has grown rapidly from 19 employees to 250 and turnover of £12m pa. As part of the expansion they moved to larger premises, while their archives were managed with the help of nearby self storage company – not an efficient or satisfactory way to work. 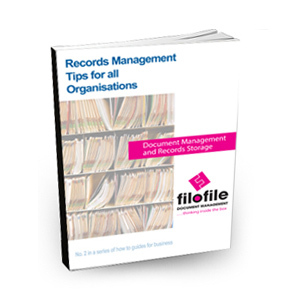 Filofile was asked to take over the records, ensure full traceability and appropriate security, whilst providing a collection and retrieval service which was both efficient and convenient. Our business has expanded rapidly, and continues to do so. We were looking to move offices to cater for the increased number of staff required. We have been managing our own off-site archive, which involved our staff in a lot of fetching and carrying. 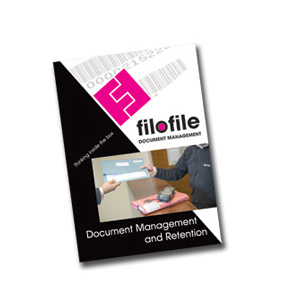 Filofile’s solution was to collect, bar code and register all boxes, and then to manage all movements, whether to or from our premises. Our requests are emailed to Filofile, and the records are delivered the next working day, with emergency deliveries available if needed. 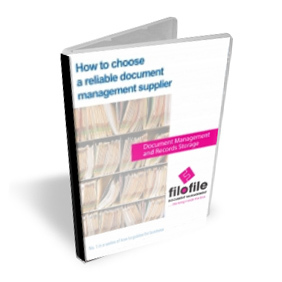 Filofile have always delivered items on time and can be relied upon for courteous and helpful service. Their comprehensive security, traceability and cost effective service gives peace of mind, and allows us to concentrate on what we do best. I would have no hesitation in recommending Filofile’s services.